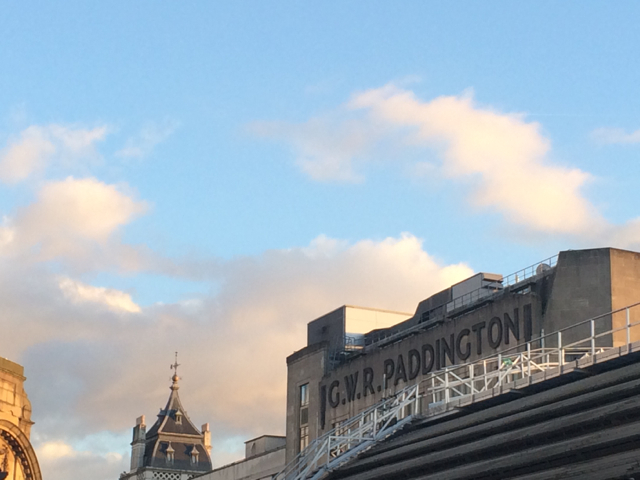 A few days ago I popped over to M&S HQ in Paddington to taste a few dozen of their wines. Two of my favourites were unusual grapes that had been sourced by Jeneve Williams, a New Zealander with a magpie eye who doesn’t just hunt out and blend beautiful wines, but likes to make sure they look good too. Both of these bottles (pictured with Jeneve in the background) have Pick-me-up-and-put-me-on-your-table labels – “Jeneve is the only member of the team with a Pantone chart on her desk,” apparently. They’re so gorgeous to look at and to taste that even though practically no one has heard of perricone – it’s a red Sicilian grape variety – it’s been flying out: M&S had to triple their order of it this year. Both are highly recommended. Caruso e Minini Perricone 2013 Sicily, Italy (M&S, £8) It’s rare to find perricone bottled on its own and this delicious red makes me wonder why. Very Italian, all dark cherries and juice with a dusting of dried herbs and violets. Lovely with meaty pasta sauces, or a fat tuna steak. 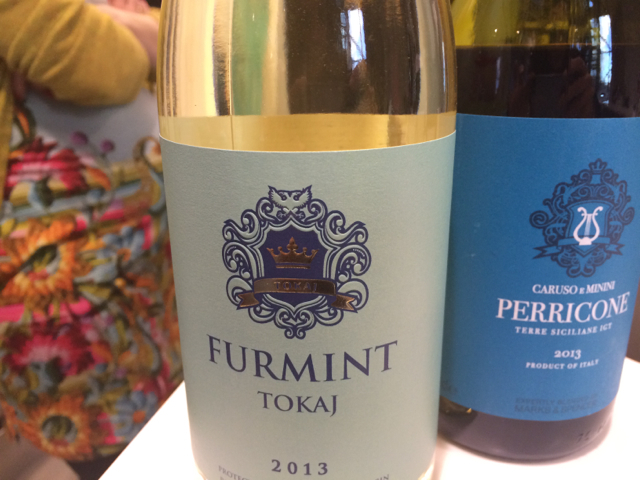 Dry Furmint Tokaj 2013 Hungary (M&S, £10) Furmint is one of the grapes used to make Hungary’s famous sweet wine, tokaj, but this is a dry white. I’d recommend it to anyone who likes picpoul, pinot grigio, pinot blanc – all of those refreshing, oak-free white wines – and who wants to step slightly outside the box. It has more flavour than pinot grigio, it’s fruitier than picpoul (but still refreshing), perhaps best described as a cross between the clementine-taste of pinot blanc and fiano. There’s a gentle tang of quince and pickled ginger behind the duck egg blue label. For food, try it with sushi or roast pork with herbs. In other news, I’ve had a busy couple of weeks tasting and writing about the 2010 brunellos (see here) – really lovely, big, hearty, hunters’ wines from arguably the most beautiful part of Tuscany – as well as reporting for the Daily Telegraph on plans for a new “Sussex Sparkling” protected origin designation for English wine (here’s why I DON’T think it’s a good idea). For Olive Magazine my recipe of the month is lemon chicken, nursery food for grown-ups, and you’ll find four more high street (white) wine recommendations there. The prices aren’t online – for practical reasons I think – but at the time of original publication they were all very good value and under a tenner. 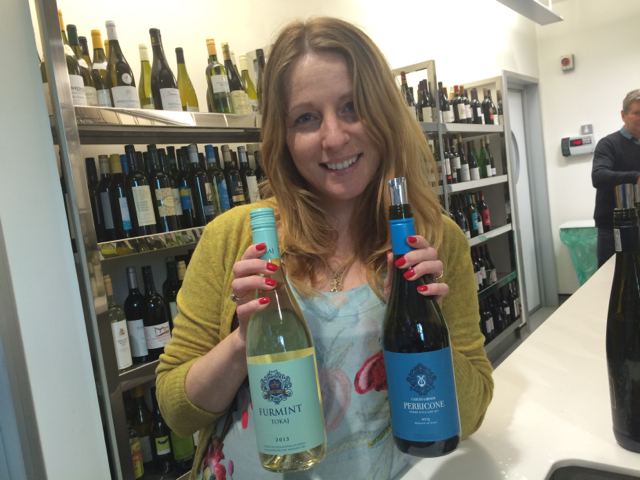 M&S’s Jeneve Williams with the perricone and the furmint. Not wearing matching duck egg blue nail varnish on this occasion, though she says she has some.